Home / OLD News / Expert Sleepers FH-2 Bi-directional USB MIDI interface in stock ..plus piles of DISTINGS!! Expert Sleepers FH-2 Bi-directional USB MIDI interface in stock ..plus piles of DISTINGS!! We finally have more os the Expert Sleepers FH-2 Bi-directional USB MIDI interface in stock! 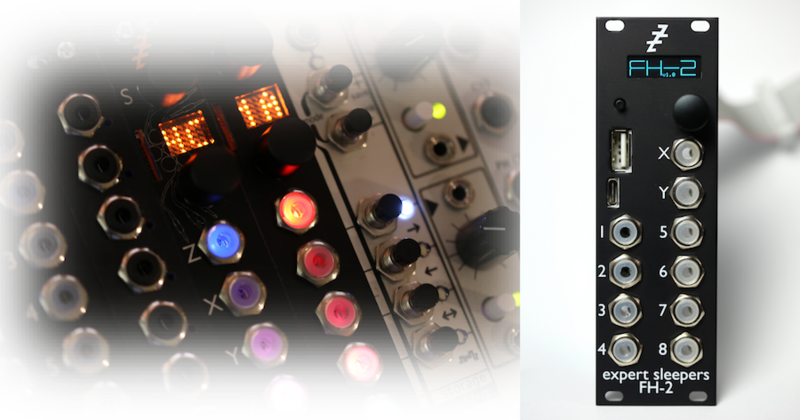 This really is a game-changer when it comes to connectivity within your Eurorack setup – it can speak in USB and MIDI (via the Disting Breakout), and features clock generation / sync, LFOs, Arpeggiatiors, Euclidian pattern generators & more..
Use it with the FHX-1 expander to give you even more outputs!